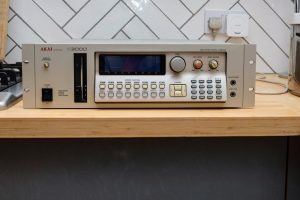 “For Sale: Akai S3000 Midi Stereo Digital Sampler which comes with 35 original sampler floppy’s (with Mesa II Disc), Plus 2 Optical Leads, Plus Power Lead, Plus 150 new, unopened Floppy Discs and Printed Manual. Altogether a great bundle. The case has very little racking scars which is only on the top, otherwise in great condition. 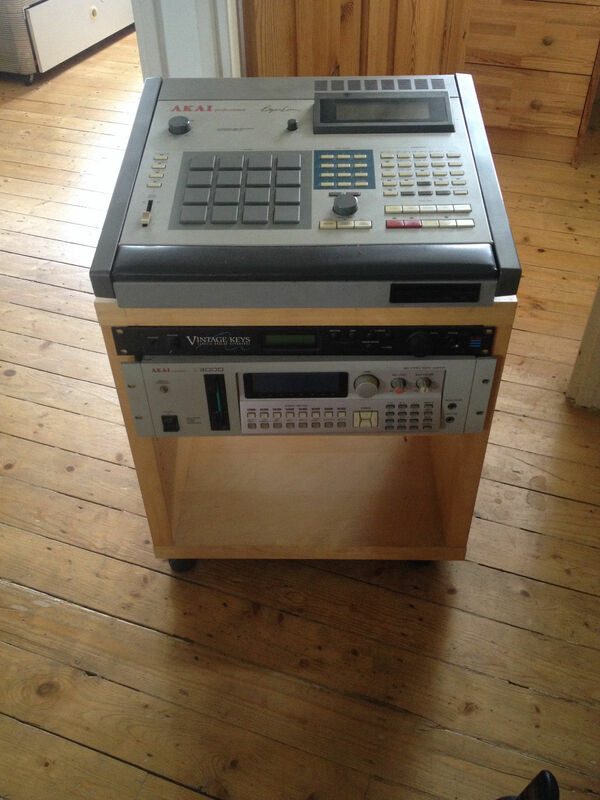 This sampler would be a great Asset for anybody’s studio and is in very good working order. 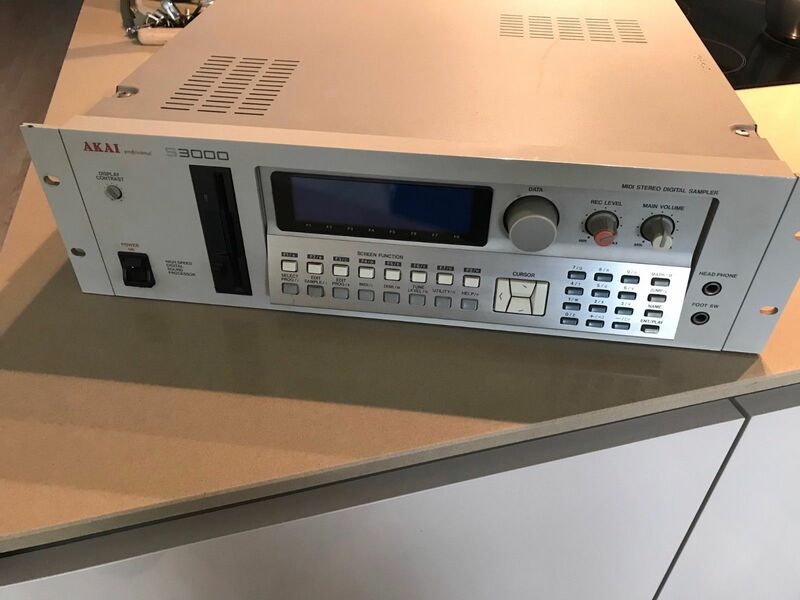 “Here is an original Akai S3000 Sampler non XL version. 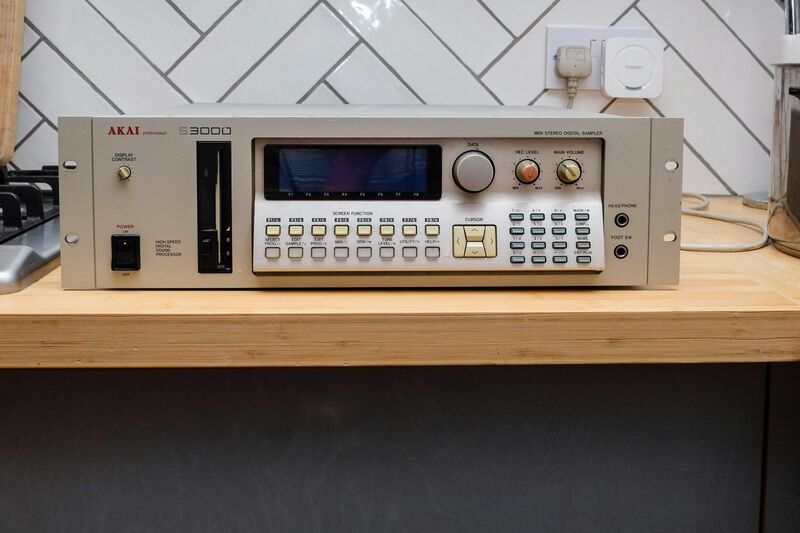 Akai S3000(original non-xl) absolutely amazing sampler. Thick, Punchy, simply put it’s the more advanced MPC3000 just without the sequencer. In good condition. Some wear and scratches from use. Same sound engine used in the MPC 3000 for that thick warm sound the S3000 is known for. OS 1.50 – 32 MB RAM – FX BOARD – SCSI. “Ihr bietet auf einen Akai S3000. Braucht man nicht viel dazu zu sagen. Der Zustand ist allgemein gut. Display gut lesbar – aber wurde nicht ausgetauscht. Ich habe das Gerät nicht final getestet. Die Festplatte ist noch im Parkmodus oder nicht funktionsfähig. Alle Knöpfe funktionieren einwandfrei. Datawheel funktioniert auch gut. Aber ist locker. ” Well used Proper Sampler if your reading this then I’ll assume you searched and know what your looking at here. An original made in Japan S3000. It’s had a lot of use over the years I brought it from a studio who produced jungle back in the day. Same sound hardware as an mpc3000 so basically add some midi pads and sequencer and there you are a beast of 16bit sampling gear. It’s got 8 outs plus a stereo pair on xlr or jacks. Running OS1.01 but the floppy drive works fine so get ya Sen an updated os and deep the benefits. On boot up it says 5 mwords fitted so I think this means it’s got 10meg of ram. “Reluctant sale of my dear old friend. Unfortunately, unused for several years and it is time for it to go. In good overall condition, a few scratches but nothing major. All seems to be working fine. 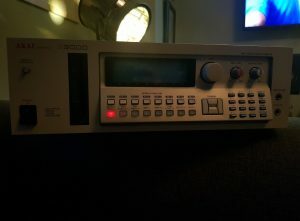 Full working order used and loved for many years in studio selling due too i got a sampler in my TR keyboard and want too buy a Boss Rs-300 for live shows! Fully upgraded, SMPTE, Digital ins/outs, SCSI expansion, 32MB RAM. 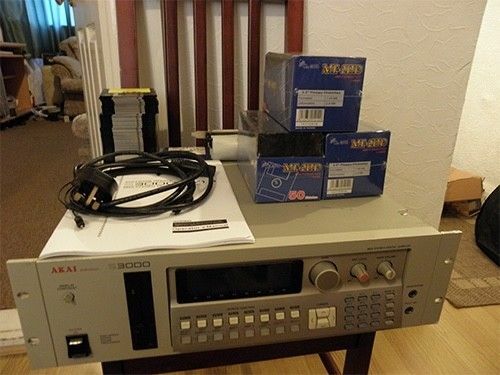 “Akai s3000 in good condition – front buttons in need off repair . “Hier gibt es einen Sampling-klassiker zu ersteigern: den AKAI S3000. “Very good condition, fully working. Moved into a new house and need to clear out some gear to make room to live! “Sie bieten auf einen AKAI S-3000 Sampler. Absolutes Kultgerät. Der Techno/Dancefloor Standard. Gepflegter Zustand. Funktioniert tadellos. Ausstattung siehe Bilder. Kostengünstig ausbaubar. Infos im Netz. Auch innen sehr sauber und gepflegt. Da es immer mal wieder zu „Missverständnissen“ auf eBay kommt. Achtung: Gerät ist nur halb geprüft. Ich habe es angeschlossen und alles reagiert offenbar gut, das Display und alle Knöpfe und Regler verrichten ihre Arbeit. Da ich mit Samplern nicht arbeite, weiß ich nicht viel vom S-3000 und habe deshalb nicht geprüft ob alles auch intern funktioniert. Wenn mir jemand eine kurze Anleitung zum Testen schicken möchte, würde ich es ausprobieren und bescheid geben. aber lange nicht mehr benutzt worden. Display ist in gutem Zustand und noch regelbar.